Fig 1. 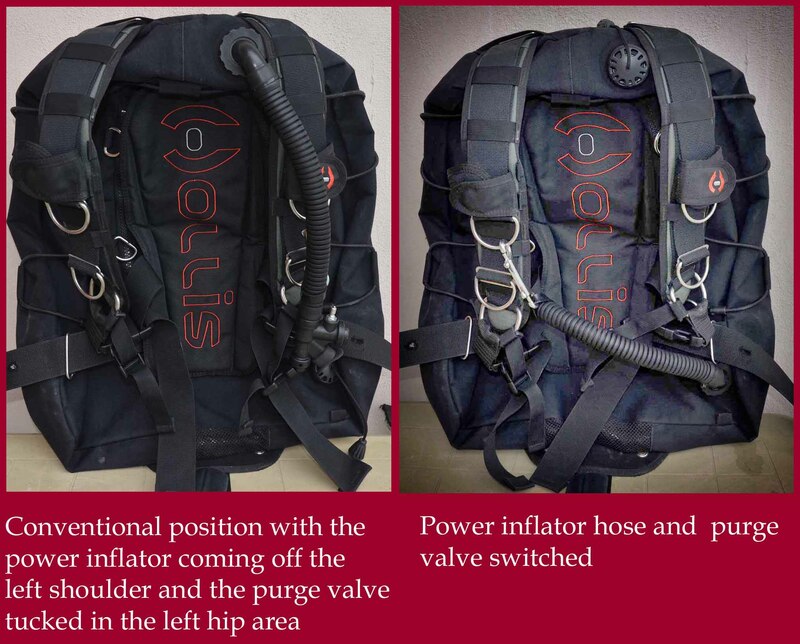 Side-by-side, Hollis® SMS 100 in conventional power inflator and purge valve (left), and switched positions (right). Figure 1, right shows the purge valve mechanism on the left shoulder. At first glance, this would not cause any problem. 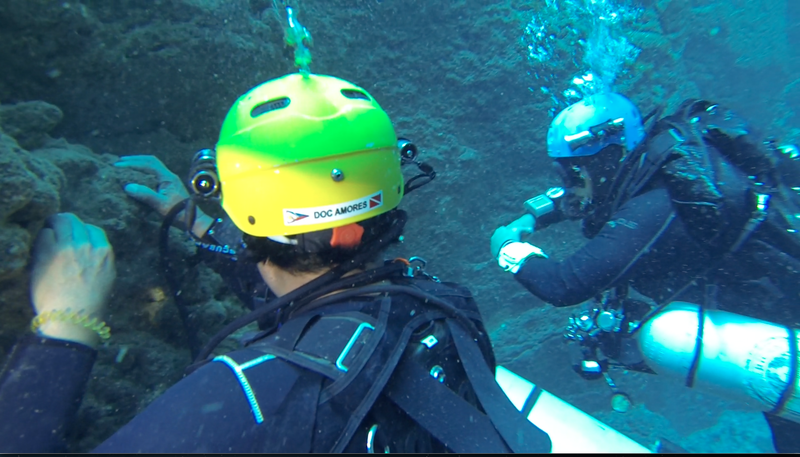 However, in the limestone dissolution cave environment, an unforeseen problem of pieces of limestone falling from above as they are dislodged by the bubbles in open circuit diving, proved to be problematic. I literally had to crawl out of HERUC. As luck would have it, during the planned deco stops, Enchanted was current-neutral. (I have dived the area with a hefty down current at the height of the flood stage of a spring tide). After an uneventful completion of the deco schedule, analysis revealed a small speck of limestone lodged under the purge valve lid causing the free-flow. The Hollis® SMS 100 is unprotected on the shoulder position. In the conventional configuration, it is well protected in the left hip area. Incidentally, the Hollis® SMS 50 purge valve is around the left shoulder area, but securely protected by the bladder. FCD Andy likes his purge valve on the left shoulder. 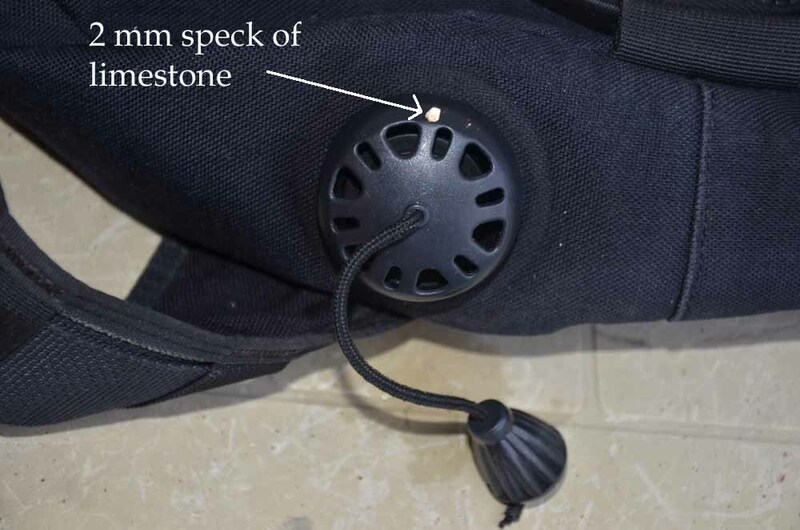 he is devising an add-on cap to prevent debris from falling into the purge valve mechanism.